What you’re about to hear is the new album’s first advance track, “Kalt’ Ritt in leicht faltiger Leere”. According to the band, the title “could be translated to ‘Cold Ride in Flimsy Wrinkled Void'”. It sounds better in German. The song is an amazing rush that includes vocals that are both scaldingly ferocious and wrenchingly anguished. The accompanying music alternates between bouts of frenzied riffing and galloping drums and slow, depressive, piano-accented melancholia. It sounds like Bethlehem are back in true form. List will be available on CD and digital as well as on LP in North America only. In Europe, the LP is being handled via La Familia, and D-Takt and Råpunk. Pre-orders can be placed at Southern Lord’s website HERE. 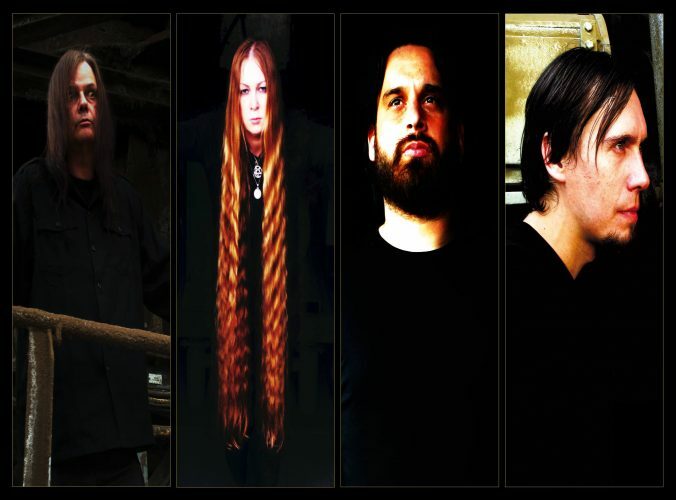 Poland’s Anima Damnata came into being circa 1996 and have released two albums, the last of which emerged in 2007. After almost a decade, they announced last week their plan to release a new full-length named Nefarious Seed Grows to Bring Forth Supremacy of the Beast, along with a track from the album called “Uprising Lucifer”. I’m not familiar with the band’s previous output but listened to this song after one of my Facebook friends expressed excitement about the idea of a new Anima Damnata album — and it’s a pure adrenaline bomb of jagged, jabbing, thrashing riffs, white-hot lead guitar frenzy, and jet-speed drumming — with wild, tyrannical vocals to boot. If you’re like me, your visit to this sonic warzone will leave you breathless. Revelations of Rain (Откровения Дождя) are based in the vicinity of Moscow in the Russian Federation. 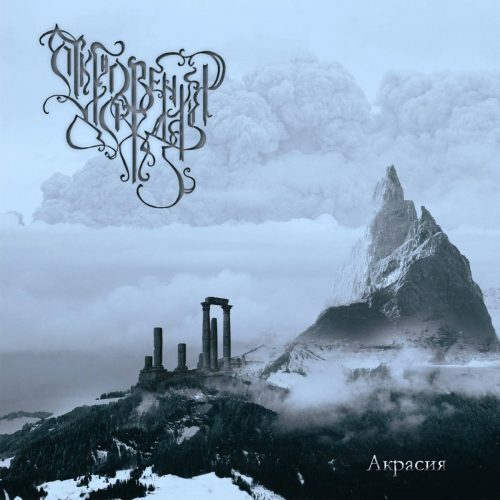 Their fifth album Akrasia (Акрасия) was released by Solitude Productions on October 24. I confess that I haven’t listened to all of it, but the songs I have heard are magnificent — immense offerings of melodic doom/death that deliver emotionally powerful sensations of terrible misery and sublime beauty. Listening to the music sinks you into deep, frigid pools of black tears glimmering with phosphorescence beneath the surface or sends you gliding slowly through snow-covered forests under the shine of a half moon. 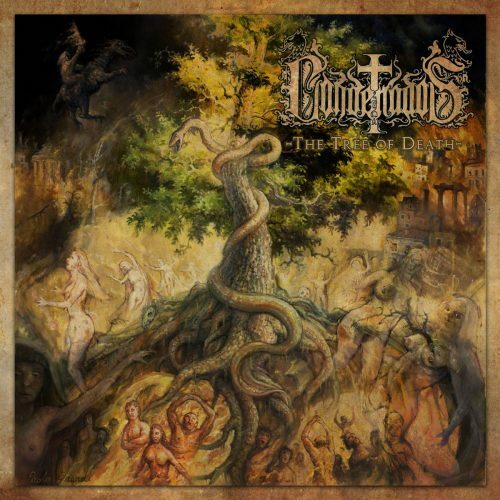 The Tree of Death is the second album by the Chilean doom band Condenados. It will be released by Shadow Kingdom Records on January 13, 2017. The label suggests that the album will appeal to fans of classic Candlemass, old Cathedral, the UK’s Solstice and Procession, and perhaps even to those who worship Bathory‘s Viking era. 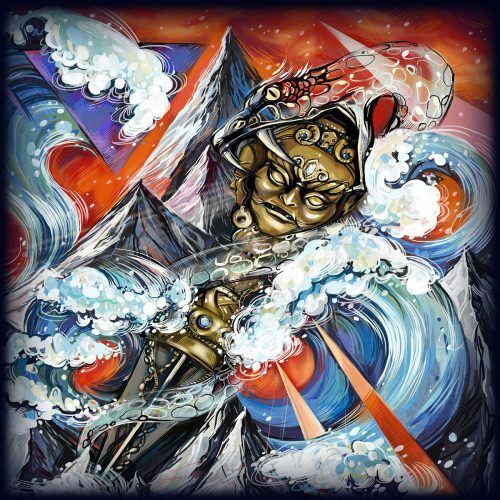 I chose to check out the following advance track, “Sea of Fire”, when I saw that the album art was created by the esteemed Italian artist Paolo Girardi. The song is a well-earned exception to our “rule” about clean vocals. The massive, mid-paced, vibrating riffs and psychoactive lead-guitar flourishes are damned sweet by themselves, by the soaring vocal melodies are maybe the most attractive feature of all. We’ve written before about the Ukrainian band Ethereal Riffian, but I overlooked the fact that they released a new two-song EP, I AM. Deathless, earlier this year. Fortunately, I didn’t overlook the official video that appeared last week for one of those two songs, “Drum of the Deathless“. I found myself fascinated by the video — which includes appearances by guest musicians Maha Tretyakova on the djembe and Yaroslaw Kaminskiy playing the didgeridoo — and the music is damned fascinating, too. The syncopated drumming gets its hooks in you all by itself right from the start, and the big, booming riffs, pulsing bass notes, and head-spinning guitar solo are powerful seductive, too. In the vocal department, this is another well-earned exception to our “rule”. In short, this is a real head-trip that I didn’t want to end. 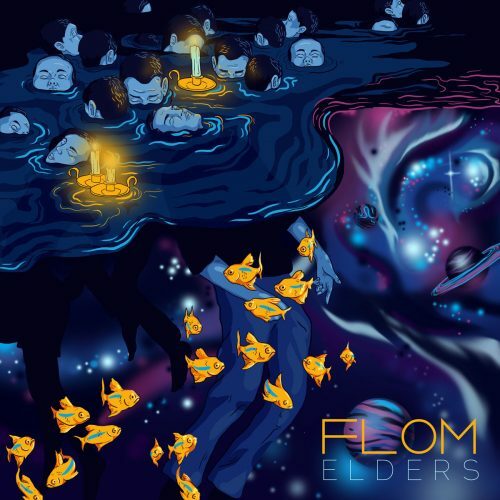 We recently received an e-mail from a two-man Norwegian band named Flom (Per-Kristian Vinje (guitars, bass, vocals) and Lars Ødegård (drums)) suggesting that we check out their debut four-song EP, Elders, which was released earlier this month. Their Bandcamp page refers to influences such as Mastodon, Gojira, Deftones, and Meshuggah. I decided I would at least give the first song a listen — and wound up staying for the full run. 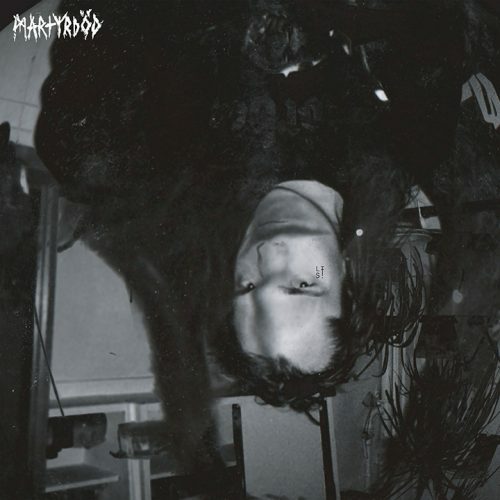 The pile-driving grooves in these mainly mid-paced songs are heavy and hard enough to loosen the teeth in your skull, and the mainly oppressive (and slightly narcotic) melodies are awfully catchy, too. I’m so glad the vocals accompanying these songs are ugly, serrated, and vicious, and in the choruses they manage to sound melodic without shifting into clean territory. When the band really cut loose in the dynamic final track, “Razor”, it’s like you’ve been thrown in the path of a stuttering/rampaging bulldozer, and the swirling guitar melody is especially seductive. A very nice discovery, though I do think I need some dental work now. Elders is available on Bandcamp for $1. The eye-catching artwork is by Anni Buchner. Now it’s time for some Southern-fried Death ‘n’ Roll, though it comes from Rome rather than Alabama or some such place. The song and the video below aren’t new, but I learned about them through a recent press release announcing that the band have a new album named Vulture of the Black River that will be released in November by Rotten Roll Rex, who recommends the band for fans of Blood Duster, Speedwolf, and Motörhead. This particular song is “Drink Whiskey, Make Justice!” and it’s from Southern Drinkstruction’s last album, 2012’s Drunk Till Death on Despise The Sun Records. The riffs in this song are heroin for the ears, and the video is hilarious. Okay, to conclude this Saturday collection of songs, I’m going with some banjo slam. I did say this round-up would have wide genre diversity, didn’t I? The song is the title track to an album named Severe Cold by the one-man German band No One Gets Out Alive. The album was released in March by the same Rotten Roll Rex who are handling the release of the new Southern Drinkstruction album. 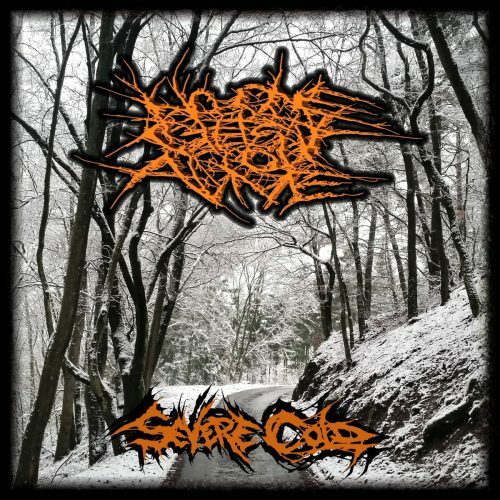 I haven’t listened to all of Severe Cold, just this one song, but I’m going to embed the Bandcamp player for the whole album so I can browse its contents later. 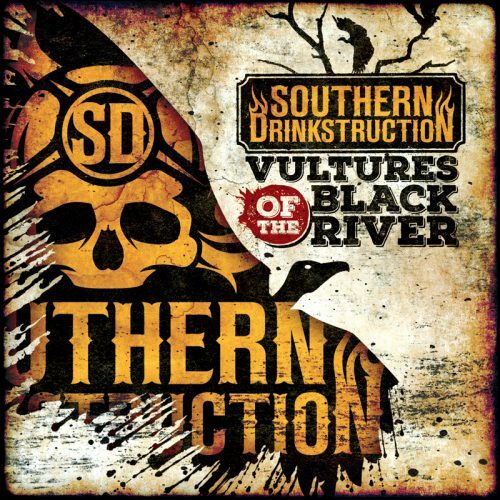 And yes, this is brutal, gurgling, slamming death metal — accented by some banjo bluegrass. And if you can’t get behind that, you’re dead to me. 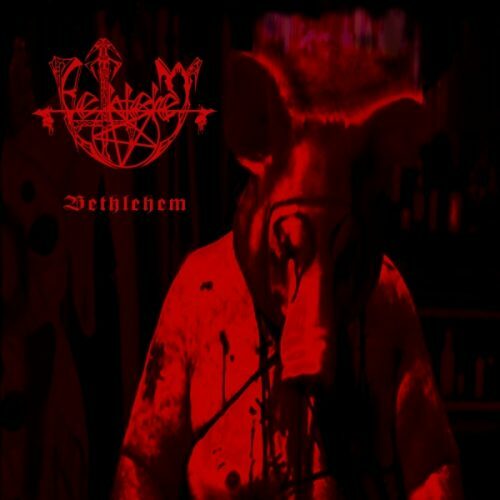 The new Bethlehem is great, after all these years I never thought I’d hear something like that from them again. And that new vocalist is the best they’ve had since Rainer Landfermann, and she’s a woman! Apart from anything else this edition has some lovely artwork. And banjoslam is something i can definitely get behind!